I’m putting the blog on ice for a bit while I cook a duck for Christmas dinner, finally get round to re-reading Brideshead Revisited after I finish reading Florian Illies’ 1913: The Year Before The Storm, and whoop up BBC2’s late night Hitchcock season. Talking Movies proper will return in early January with a Top 10 Films of 2015, and previews of 2016′s best and worst films. And for the season that it is revisit Sorkin Christmas: Part Two. I’m putting the blog on ice for a while while I cook a duck for Christmas dinner, finally get round to re-reading Brideshead Revisited after I finish reading Andrew Roberts’ Napoleon & Wellington, and whoop up BBC2 and BBC4’s low-key Hitchcock season. Talking Movies proper will return in early January with a Top 10 Films of 2014, and previews of 2015′s best and worst films. 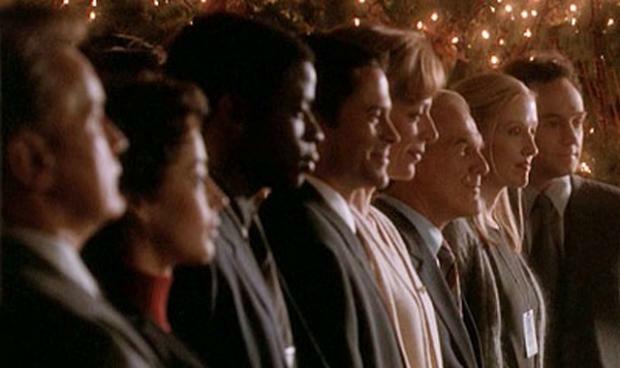 And for the night that’s in it revisit Sorkin Christmas: Part One. I’m putting the blog on ice for a while while I cook a duck for Christmas dinner, finally get round to re-watching Brideshead Revisited and finish reading Salisbury: Victorian Titan, and whoop up BBC2′s customary feast of late night and early morning B-movies. Talking Movies will return in early January with a Top 10 of 2013, and previews of 2014′s best films. GK Chesterton memorably quipped that Nietzsche had never convincingly explained why, other than to gratify Nietzsche’s own perverse desires, anyone should desire that an ubermensch be modelled on Cesare Borgia rather than on Parsifal. 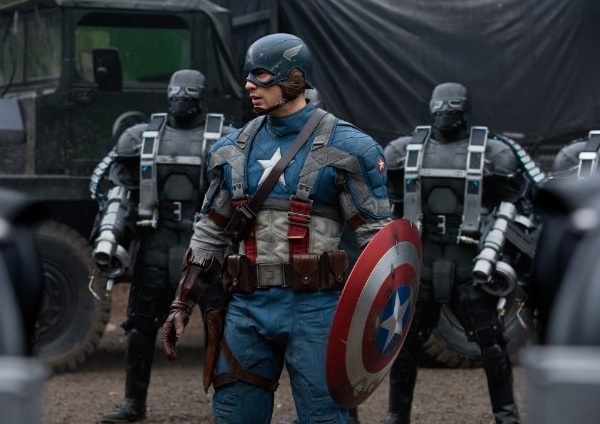 This sentiment underscores all the scenes between Chris Evans and Stanley Tucci; “Do you want to kill Nazis?” “I don’t want to kill anyone, I just don’t like bullies, wherever they are”; but the scene in which Tucci explains why he chose Evans over the physically stronger candidates and entreats him to remain the same – “Not a perfect soldier, but a good man” – is the best fictional articulation I’ve seen of Greg Garrett’s joyous reading of the creation of Superman by two Jewish comic-book writers as a rebuttal of Hitler’s Aryan psychosis – protecting the weak is what a real ubermensch would do. Tommy Lee Jones Fassbenders his way thru the film in his accustomed role as old Texan grouch. 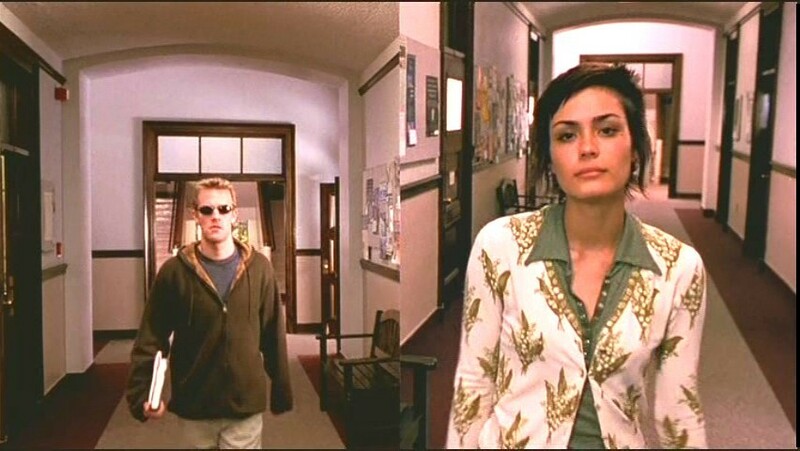 His fantastic one-liners include “I’m not kissing you” after the climactic clinch, “I better find two more then” after shooting a Hydra stormtrooper mid-way thru his ‘Cut off one head, and –’ mantra, and “He’s still skinny” after egregiously failing to make his point by throwing a dummy grenade at the potentials to see which are the brightest and best. From the first appearance of the Red Skull’s jaw-droppingly stylised car, there’s a determination to grant Hydra technology too advanced for the era, especially their District 9 rip-off guns, to heighten the threat they pose. Admittedly the steampunk element gets a bit out of control towards the end of the film, but it’s quite a nice addition to the Captain America mythos for most of the proceedings, and feels less contrived than most of Del Toro’s clockwork nonsense.